The UFT offers a multitude of health and safety programs to assist you and your colleagues. The UFT’s BRAVE Campaign provides tools, knowledge and support for UFT members so they can be more proactive in confronting and stopping bullying. 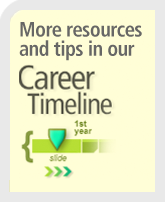 For information and resources for your classroom, visit us on the web. BRAVE also hosts a confidential hotline for students, Monday through Friday, 2:30 p.m. to 9:30 p.m.: Call (212) 709-3222 or text BRAVE to 43961. The union offers many workshops on classroom management, on teaching students self-discipline and on instructional techniques that engage students so they do not start misbehaving out of restlessness. Check the New York Teacher newspaper for upcoming sessions. The UFT offers DASA workshops that meet the Dignity for All Students Act (DASA) training requirement of the state Education Department for state certification. This six-hour workshop gives participants an understanding of the dynamics of assaultive, aggressive behavior and the tools to defuse violent situations at school. For more information, call (212) 701-9413. We all experience challenges in our personal and professional lives from time to time. While people often handle these on their own, some issues can be difficult to manage without a helping hand. The Member Assistance Program (MAP) has trained professional counselors who guide you through the problems that can put your health and job in jeopardy. Our services are confidential, professional and supportive. Referrals for legal and financial counseling services. 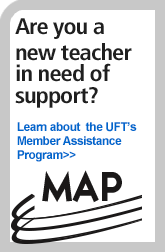 The MAP phone number is (212) 701-9620 and the email address is mapinfo@uft.org. Our normal hours are 10 a.m.–6 p.m., Monday through Friday (summer hours are 9 a.m.–5:15 p.m., Monday through Thursday). Please note that sessions are by appointment only; no walk-ins. MAP services are provided at no cost to members. Are you a tenured teacher or guidance counselor who is struggling with pedagogical and professional issues? Are you ready to take responsibility for achieving high standards and becoming more effective? Get confidential one-on-one help from highly experienced, specially selected colleagues who will create individualized professional development plans with you to emphasize your strengths and improve your shortcomings. With the Peer Intervention Program (PIP), you can take charge of your own professional standards, address instructional issues and turn your career around. Call PIP at (212) 844-0600 or send an email to pip@uft.org. The UFT’s Positive Learning Collaborative (PLC) supports schools in creating a positive learning environment. Through intensive training and direct consultation with school staffs, the PLC program equips educators with the skills, knowledge and confidence they need to safely and effectively anticipate behavior challenges in their schools so they can prevent crises and, ultimately, help students focus on academic goals. For more information, call (212) 701-9499 or email PLC@uft.org. The UFT’s Victim Support Program provides members who are injured on the job with one-on-one advice, counseling and assistance with police, the judicial system and the city Department of Education’s (DOE) medical division. The program offers victim outreach, psychological counseling and crisis intervention. All services are free and completely confidential. For more information, call (212) 598-6853. The UFT’s Violence Prevention Program works with individuals and schools to improve safety. These two-hour workshops will show you how to identify the warning signs of danger to yourself and your students and teach you ways to defuse volatile situations before they reach the point of no return. For more information, call (212) 701-9413.